CLOVER-Amour Steel Crochet Hook. Crochet with ease! 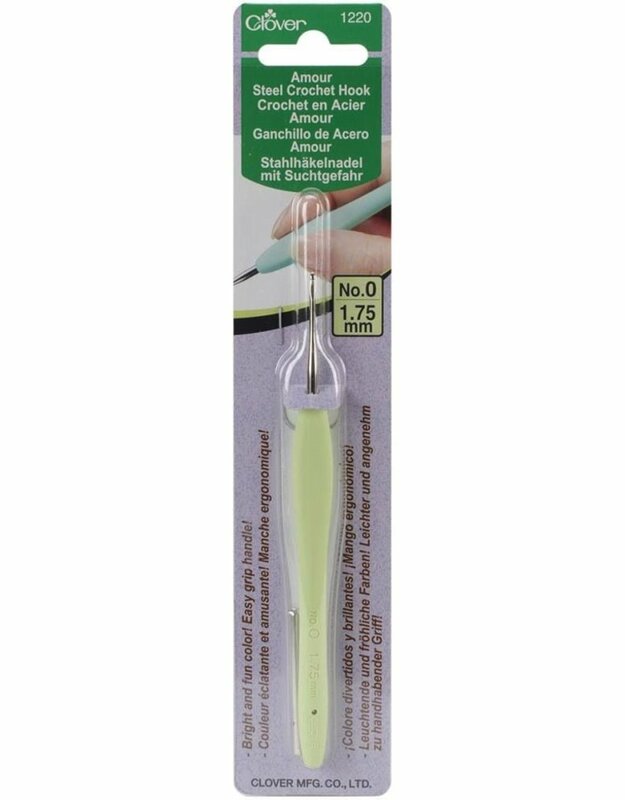 The handle is made from elastomer rubber, making crocheting comfortable and stress free. The shaft was made to bring easy beautiful even stitches. Optimal hook shape for smooth crocheting. You can now crochet with beads! 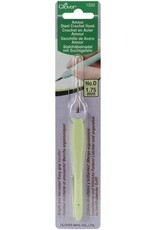 This package contains one size 0/1.75mm steel crochet hook. Imported.